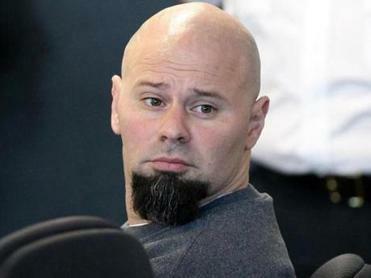 WOBURN — Jared Remy pleaded guilty to murder Tuesday, admitting he savagely stabbed girlfriend Jennifer Martel last August as their 4-year-old daughter watched and three neighbors screamed and tried to stop him. Remy’s admission means he will spend life in state prison without the possibility of parole. His plea, entered before Middlesex Superior Court Judge Kathe Tuttman, spares friends and family of Martel and Remy the added anguish of a protracted trial and the airing of even more gruesome details. It also means Remy will forgo what the judge called his possible “partial defense” of anxiety, depression, and steroid and prescription drug use. “I would like to say, ‘Blame me for this, not my family,’ ” said Remy, the 35-year-old son of Jerry Remy, the celebrated Red Sox infielder-turned-broadcaster. Rising to speak in handcuffs, Jared Remy delivered in a gravelly voice a two-minute statement in which he called himself a “bad apple” and imagined Martel watching over their daughter from heaven while playing with the couple’s late chihuahua, Buddy. Before a rapt courtroom, at what was originally billed only as a status conference, Remy read from a hand-scrawled script as Martel’s friends and relatives listened from the gallery. Remy’s parents were absent; his lawyer said Remy specifically asked them not to come. Wearing hand and ankle cuffs, Remy leaned back casually when he first took the stand to offer his plea. Jared Remy’s admission means he will spend life in state prison without the possibility of parole. But he answered crisply as the judge asked him nearly 100 questions during a 20-minute colloquy meant to ensure that Remy understood the full implications of his decision. Remy listened stoically, with his head turned to reveal the name of the couple’s daughter, Arianna, tattooed across his neck, as Assistant District Attorney Lisa McGovern summarized the evidence that would have been presented at trial. McGovern sketched a picture of a six-year relationship that soured over the last year of Martel’s life, as the 27-year-old contemplated leaving Remy. 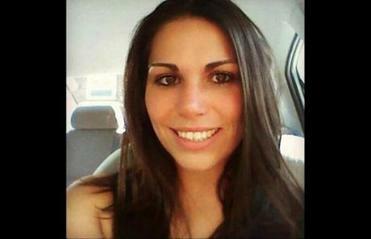 She offered several facts previously impounded in the case. The murder came a day after Remy, charged with assaulting Martel, had been released without a request by Middlesex District Attorney Marian T. Ryan’s office to hold Remy. The Globe later reported that Remy had terrorized five girlfriends, starting when he was 17, and that courts had repeatedly let him off with little more than probation. Remy had attacked Martel on the night of Aug. 13 and was arraigned and released the next morning. The night of the attack, Martel and daughter Arianna sought shelter with a “neighbor friend,” McGovern said, apparently referring to Kristina Hill. On Aug. 14, Remy spoke with Martel by phone and texted with her, in violation of a court order, as Martel and Hill took their children to Drumlin Farm and later as Martel spent the night with Remy’s sister, McGovern said. The next day, Martel returned to the couple’s Waltham apartment and stopped by Hill’s. At 6 p.m., another neighbor saw Remy by a stream behind the complex where Martel’s damaged phone was found, McGovern said, and about 45 minutes later neighbors heard loud rap music coming from the apartment. At 8:26, Martel changed her relationship status on Facebook to “complicated.” Minutes later, Hill heard banging noises coming from the apartment. She dismissed them at first, but they continued, and Hill heard Arianna scream, McGovern said. Hill called 911 and opened the door to see a wounded Martel crawling from Remy on the patio, while calling out: “Help me! Please, help me,” McGovern said. Hill ran around a row of bushes to a patio gate and saw Remy now “straddling Jennifer, her back to the ground, his hands on her throat.” Martel was bleeding profusely. Hill ran through the gate and pounded on Remy’s back, screaming at him to stop, McGovern said. Two other neighbors also ran to the patio. One, Benjamin Ray, put his hands on Remy’s shoulders and tried to pull him off. Remy “swung his arm out and lunged at Mr. Ray,” who evaded the knife, McGovern said. Hill, still on the phone with a 911 dispatcher, watched Remy deliver the final blows, then remove his blue tank top and wrap it around Martel’s face before walking back inside, McGovern said. Police scrambled up the hill moments later with guns drawn. Remy, shirtless and blood-stained, emerged with his hands up. Martel was already dead, McGovern said. When the prosecutor finished, the judge asked Remy if he understood and admitted to all those facts. “Yes, I do,” he said, before protesting one point. “She had a knife in her hand, and she was threatening me about my daughter,” he said. Authorities have never indicated they had evidence suggesting Martel had a knife. Sitting in the front row of the gallery, Martel’s parents, Patty and Brian, leaned against each other, clasping hands. Patty, grimacing and wincing at different points of the testimony, looked at the floor, the windows, the ceiling, seemingly unable to bear the sight of Remy. After the recess, Hill described for the court the pain that has trailed her even as she moved far from the complex where she witnessed her best friend’s murder. She called Martel “a confidante, an adviser, a perfect babysitter,” as well as “fun, kind, hardworking, and loyal.” Martel was devoted to Arianna, Hill said. Patty and Brian Martel wrote a statement that was read aloud by their lawyer. Sadness will always permeate their lives, the statement said, but “Jennifer will live on with us in our hearts forever.” They said they want to educate people about domestic violence warning signs that they missed, such as obsessive control. Martel’s brother, Brian Martel Jr., who did not attend the hearing because he was with a newborn son in intensive care, also prepared a statement, read by McGovern. “When I lost my sister, I lost a part of me,” he wrote. Just before Martel’s death, he had told her he was moving back to Massachusetts with his wife and children; all were elated about raising their families alongside one another, he wrote. Now, Brian Martel Jr. and his wife, Andrea, are raising Arianna. Arianna “has suffered the most,” the statement said. “She lost her mother, father, home, and her whole world.” The girl has sometimes talked of the things she witnessed, he said. Defense lawyer Edward P. Ryan Jr. tried to downplay Remy’s comments afterward, insisting Remy took full responsibility. “In no way, shape, or manner was Jared Remy trying to deflect blame on anyone but himself,” Ryan said. Remy’s father is employed by the Red Sox, whose principal owner, John Henry, also owns The Boston Globe. Remy’s parents, Jerry and Phoebe Remy, issued a written statement saying they “continue to be heartbroken” over the murder. 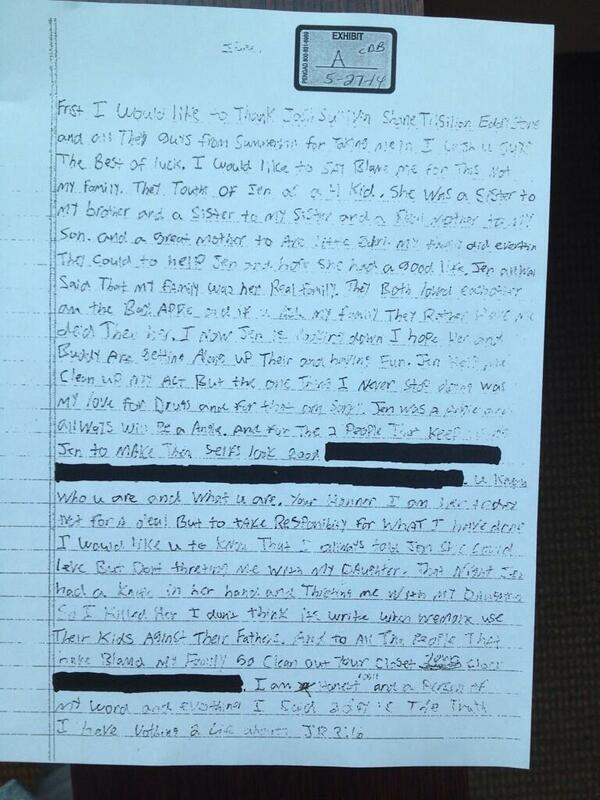 Jared Remy’s statement, which he read in court, is below.